As we pause to honor Veteran’s Day, it is also fitting to recognize the many ways our veterans are still serving. This student spotlight centers on Andre Spell, a devoted husband and father, who embodies selfless service and sacrifice for the good of others. 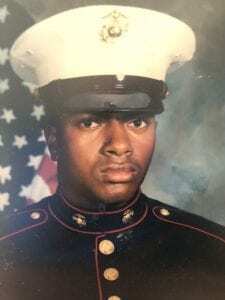 A North Carolina native, Andre joined the United States Marine Corps in 1996 and served until 2004. During a two year break of service, he worked as a Corrections Officer. In 2006, Andre enlisted into the United States Army. 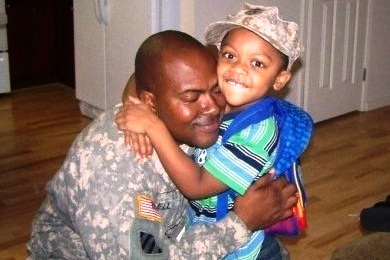 In his time of service, Andre completed two 15-month deployments to Iraq in support of Operation Iraqi Freedom. After serving in the Army for 6 years, he transitioned to the National Guard where he continued to serve for another 4 years. Andre is a husband to Krystel Spell and the father of two amazing kids – daughter Andrea Spell (19) and son Matthew Spell (14). Andre became a student at Grace College of Divinity in 2014. He has served as a member of the Student Government Association, completed VA work study as a Veteran Affairs representative, and worked as a GCD staff member in the Registrar’s Office. Rick Warren wrote that bi-vocational ministers are the heroes of the faith. This is certainly true of Andre. 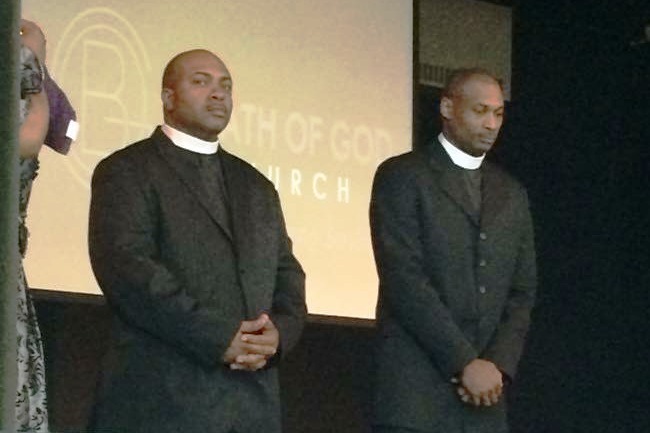 He works with a private security company and also serves as the Executive Pastor for Breath of God Church in Fayetteville, NC. Andre also finds time to engage in his favorite hobby – fish fear him! Recognizing his military experience and attention to detail, Andre was recently made the Director of Veteran’s Services at GCD. Students who plan to use their VA Education Benefits can take the necessary steps with confidence, knowing that in Andre they have a knowledgeable and compassionate advocate who will assist them along the way. Pastor Andre, we salute your continued service to the Kingdom. Director Spell, thank you for the careful attention you provide to GCD’s veteran students.